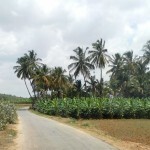 Take Sarjapura Road upto Bagalur – turn left at the bus stand and right towards Berigai after the bridge. At Berigai – drive through the (rather narrow and packed) market and after a couple of turns, you’ll come to a Gandhi statue where the better road goes to the right towards Shoolagiri, and you need to take the one going to the left of the statue towards Teertham/Nachikuppam. The drive gets really pretty from here. After about half an hour’s drive from here, you’ll cross Nachikuppam town, and a little after – a petrol pump on your left. 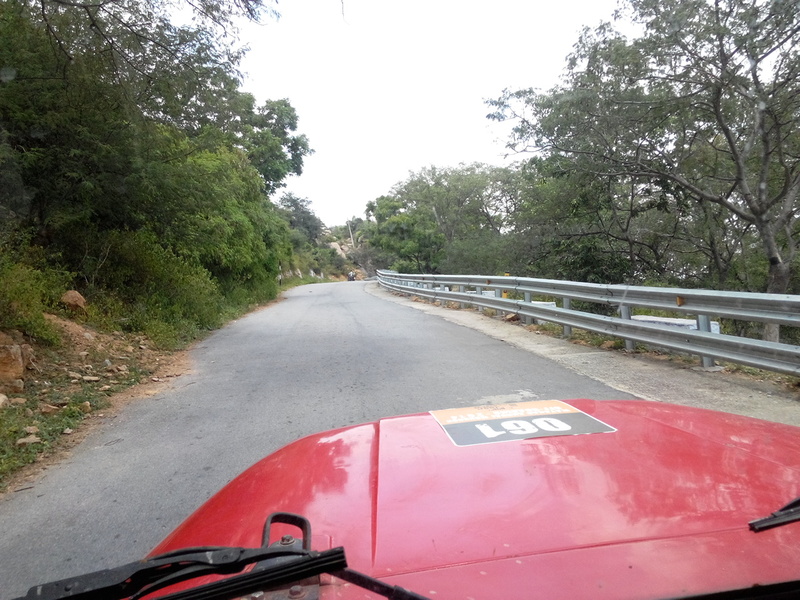 After this you cross a bridge – and come to a road going to your left at an acute angle (the road straight goes to Vepanapalli – you’ve missed the turn if you get there). There’s a Hanuman Temple being constructed at this turn. 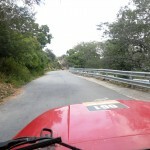 On this road go upto a point where there’s a tar road that dips and takes off to the left. There’s a small church on the left there, and a little ahead, a stone temple under construction. In a little bit this comes to a temple, and there’s a little (uncertain looking) path around the temple that becomes a road going to it’s right. 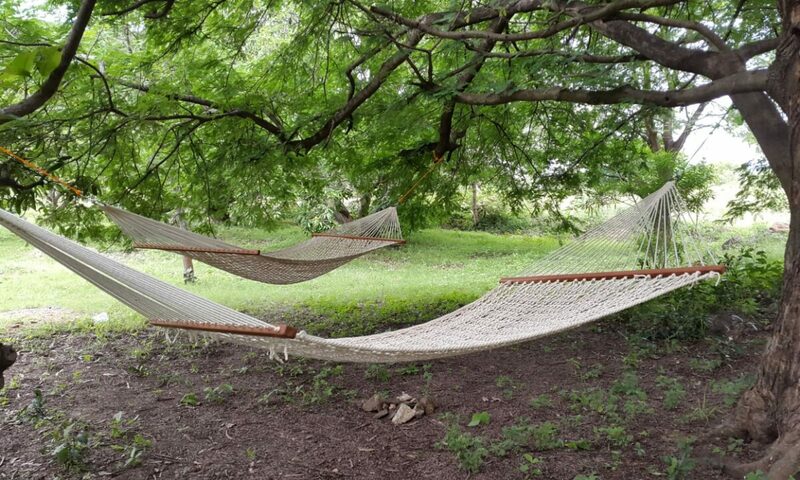 This passes the last village and becomes a kuchha road – a little ahead you come to the farm. 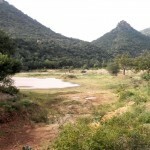 The farm house is near the entrance itself and the campsite is at the far end (kuchha roads past the lake on the left) where you see a wooded section below the peak.